Although Lippstadt was founded much earlier, Bernhard II, count of the House of Lippe, only received official status for it in 1185. This was granted by the Emperor Friedrich Barbarossa. 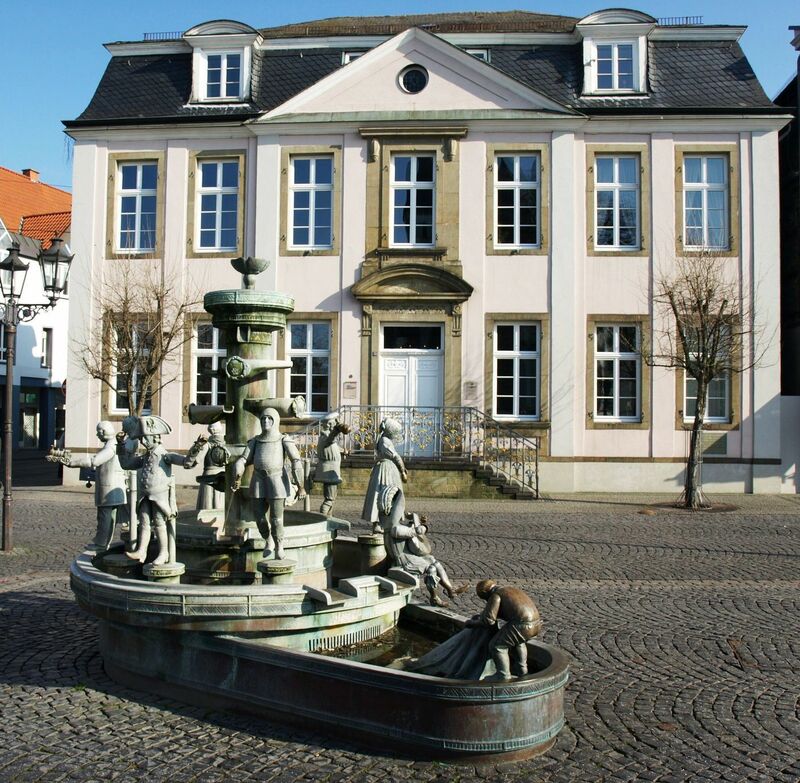 Lippstadt is one of the oldest towns in Westphalia by foundation. 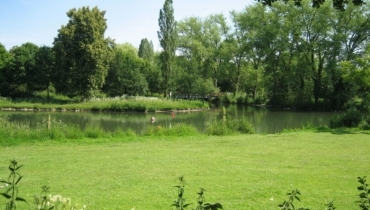 Today it has pleasant parks around it and is a delightful shopping and excursion destination with the river Lippe a commonplace town feature. 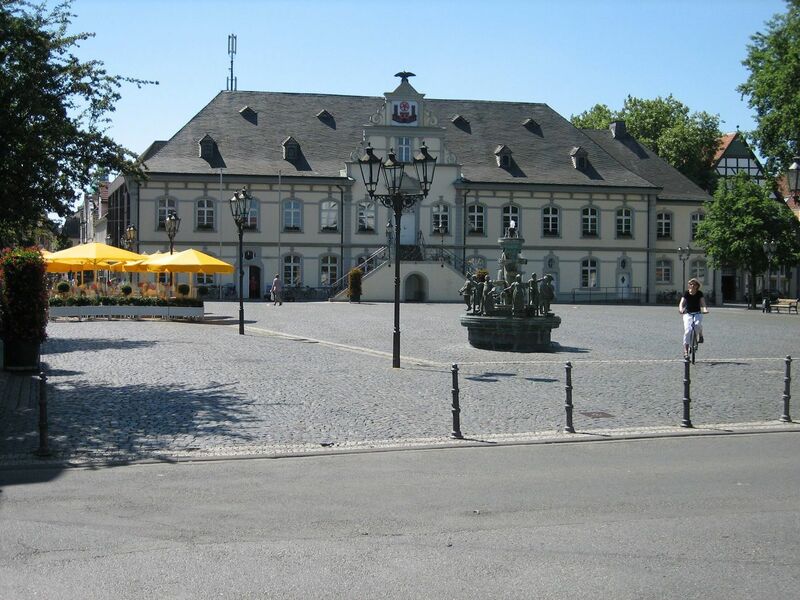 Lippstadt was founded over 825 years ago by the local nobleman Bernhard II. Zur Lippe. It has developed as the oldest chartered town in Westphalia from a farming town to a flourishing trading and hanseatic town. Take a leisurely stroll and search for traces of the past, discover the charm and the lively facets of Lippstadt. You will be thrilled by this lovely town located on the river Lippe which serves as a link to both traditional and modern life. 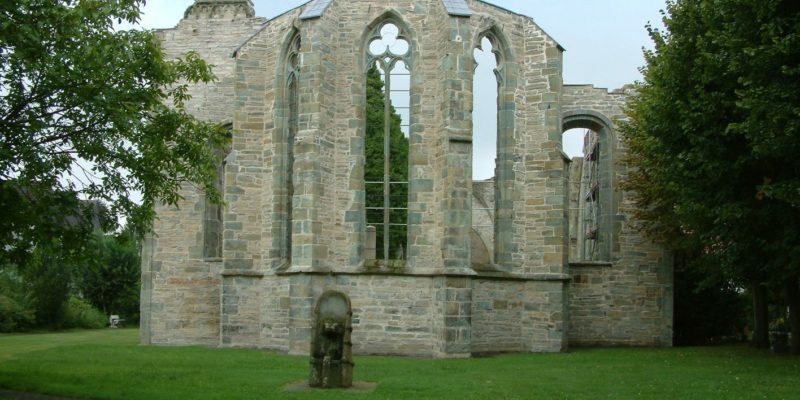 The various guided tours in Lippstadt are especially exciting and informative. As the biggest town in the Soest county, many appealing sights can be discovered on foot or by bike: Such as the protestant Marienkirche (Church of our Lady) at the heart of Lippstadt consecrated around 1220; as well as the Stiftsruine (Church Ruins), which is one of the most stunning church ruins in Germany. Both offer an impressive view. 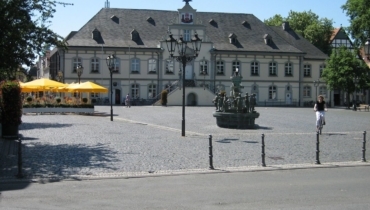 Beside the historical town hall and the town palace, grand half-timbered houses with valuable carvings on the beams portray tradition and constancy. The tidy and extensive pedestrian zone along the Lange Straße (Long Street) has turned Lippstadt into one of the region's most popular towns for shopping. These days Lippstadt is a dynamic mid-sized town. 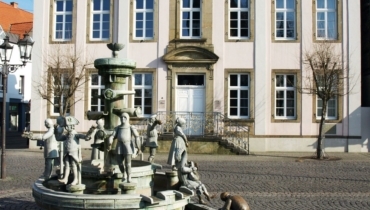 Get a taste of the past, discover Lippstadt's appeal and lively ways. You will be thrilled by the loveable town on the Lippe that offers culture, touristic sights, and leisure and well-being activities for everyone. Lippstadt's lively cultural life has a widely assorted offer. "Kultur in Lippstadt" (Culture in Lippstadt) forms an important and cherished part of the quality of life. It also has a positive effect beyond the hanseatic town. On the one hand there are the Conrad-Hansen-Musikschule (music school), the Thomas-Valentin-Stadtbücherei (town library), the Stadtmuseum (town museum), the Stadtarchiv (town archives) and the Volkshochschule (adult education centre). On the other hand eminent national as well as international artists of all genres perform in the modern local theatre. The theatre’s play and concert schedule is vast. 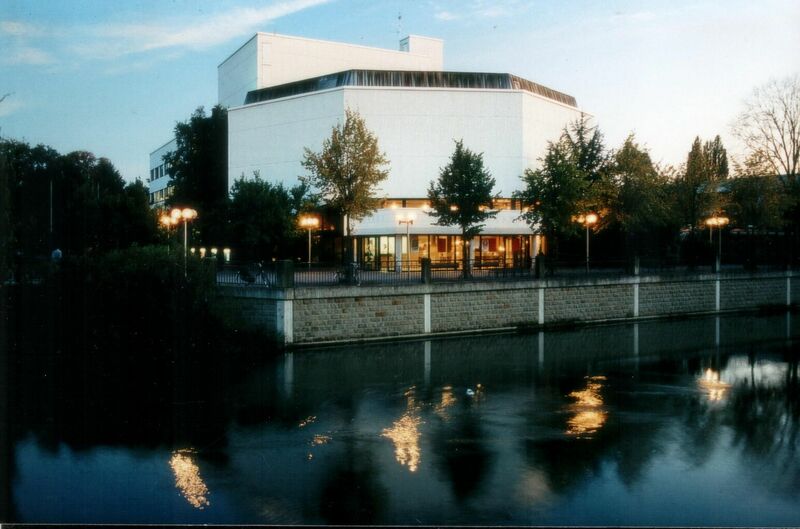 Lippstadt is also a hub for the fine arts. To name a few of the town's varied events: the renowned Wortfestival (Word Festival), the popular Rathausplatz-Festival (Main Square Festival), exhibitions of varied artistic influences and stage and concert performances. Lippstadt is also nicknamed “Venice of Westphalia", due to the many Lippe arms that criss-cross though the town centre. The Lippe gave Lippstadt its name and renders a beautiful, picturesque image of the town with its small canals and lakes. Why don't you go on a canoe trip through Lippstadt to experience it from a different perspective? If you prefer tourism on land, there is a wide range of topical guided tours available. 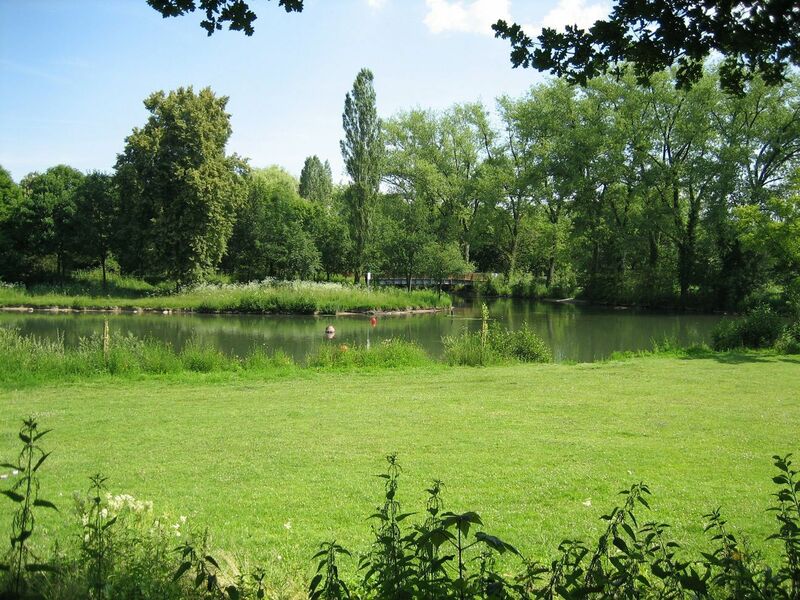 Tidy parks and green space, as well as 250 kilometres of waterway give you the ideal opportunity to burn some calories. You can play golf on the 27-hole-course, which is exceptionally abundant with water, play miniature golf, go white-water canoeing, go sailing or just settle for a swim and a rest at one of various swimming lakes around Lippstadt. In case this is not yet enough, you can add the popular Nordic-Walking route or let off some steam with the tree-climbing ropes course in Bad Waldliesborn. 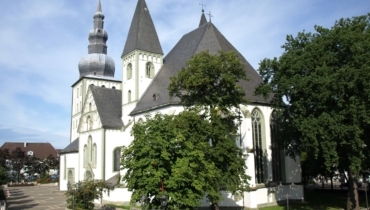 Lippstadt has much to offer for parents, children, young people and the elderly. A core priority is to constantly and sustainably improve conditions for all social segments. 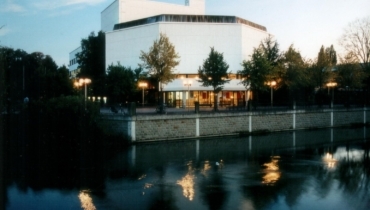 Lippstadt is attractive for families, because for instance it has comprehensive education facilities, which include child care and education in day-care facilities, full-time schools and youth leisure establishments. Services offered by the Youth and Family Support Office and the Mobile Helpdesk for families with young infants should not be overlooked. Especially the equipment in schools has been improved in recent years, in order to maintain top quality education. Apart from the social services for citizens that are in need of assistance, financial concessions are available in form of the family's card. Senior citizens benefit from numerous special activities and all-ages projects offered by the Senior Citizens Office, which is the qualified point of reference for all issues relating to old age. The people of Lippstadt were already involved in the Hanseatic League and long-distance trading soon after the foundation of the town. They maintained active trading relations with hanseatic trading strongholds. Lippstadt also belongs to the modern Hanseatic League and is an active member. In 2007 the hanseatic activity found its climax in Lippstadt, when the town held the 27th International Hanseatic Days. For this exact purpose in 2003 the Hanseatic Association “HANSE-GESELLSCHAFT LIPPSTADT” was created and registered as an incorporated association. It was meant to support preparations for the grand event. The Youth-Hansa-Festival's main objective was to get young people involved and interested.